Art needs women. Whether it is as artists, gallerists, curators, critics or collectors, so far each of them made an impact on the art world and helped improve women’s status. For International Women’s Day this year, we honor the female population in arts and we thank them for existing. After our list on 10 Women Photographers and a brief history of How Art Fought for Women’s Rights, we talk about women in the business of art collecting. While most of them make collections together with their (often famous) husbands, there are ladies who act on their own. They’re heiresses, museum directors, benefactors, philanthropists, curators and businesswomen, owners of extraordinary art and true fighters for women’s rights. They come from all around the world, and it’s time for you to get to know them, if you don’t already. Like what you read? There’s more! Just sign up for My Widewalls! As one of the most influential female art collectors, Beth Rudin DeWoody is everywhere, and her opinion is very valued in the art world. She is the President of The Rudin Family Foundations and Executive Vice President of Rudin Management Company. She is also a board member at the Whitney Museum of American Art and New Yorkers for Children, Inc. She is also a curator, with many shows under her wing across the US. 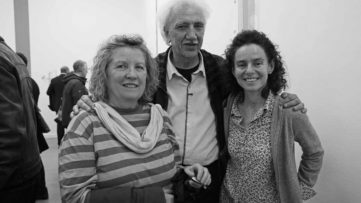 Well known internationally for her impeccable choices and involvement in the scene of new and emerging genres of art and artists, her passion for collecting has never subsided since acquiring her first drawing in the 1970s. An exhibition of Beth Rudin DeWoody’s art collection is currently on view at the Norton Museum of Art. 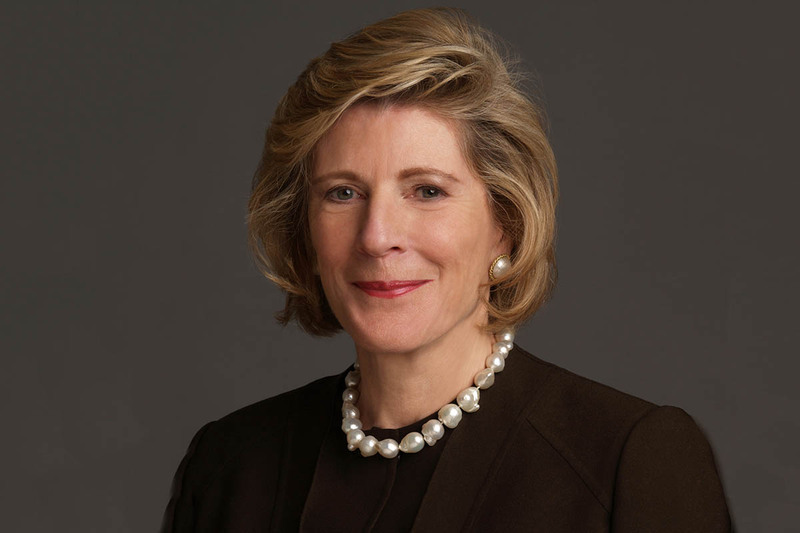 Now that we’re talking about the icons of the art world and the biggest supporters of women in arts, we can’t go without mentioning the work of Agnes Gund. Nominated by President Barack Obama as a member of the Board of Trustees of the National Council on the Arts, she is the President Emerita of the Museum of Modern Art, chairwoman of its International Council and chairwoman of MoMA PS1. Her impressive collection of modern and contemporary art includes almost every famous artist you can think of – Jasper Johns, Robert Rauschenberg, Richard Serra, Roy Lichtenstein, Eva Hesse and Kara Walker are just a few of them. Aside from all forms of visual arts, the collection of Agnes Gund collection also includes West African and Chinese terra cottas and classical Chinese furniture. 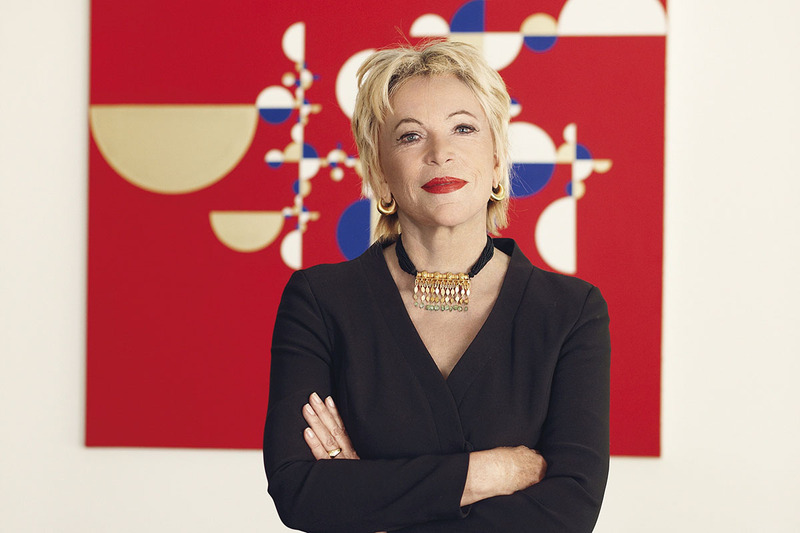 Ella Fontanals-Cisneros is a 71-year-old Cuban art collector who started collecting predominantly Latin American artists, which remained her greatest passion. In 2002 she founded the Cisneros Fontanals Art Foundation to provide grants and arrange commissions for Latin American artists, some of whom showed their work at the organization’s exhibition space in Miami. 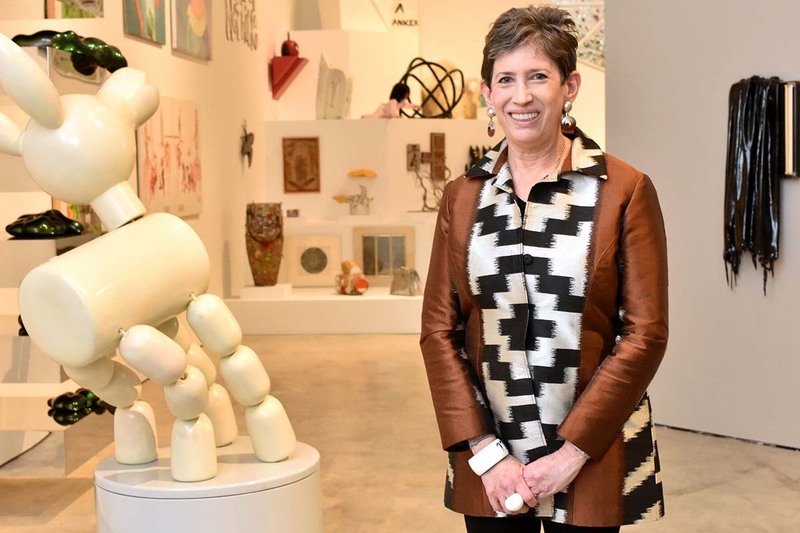 She is also chairwoman of her own museum – the Miami Art Central. Her collection includes photographs by Barbara Kruger, Thomas Struth and Andreas Gursky as well as installations by Julian Rosefeldt, Olafur Eliasson and Ai Weiwei. Ella Fontanals-Cisneros’s art foundation provides annual grants for emerging and mid-career artists from Latin America. In 2008, she was the recipient of the United Nations’ Women Together Award. Another great art collector from Cisneros family is Patricia Phelps de Cisneros, Ella Fontanals-Cisneros’s cousin. 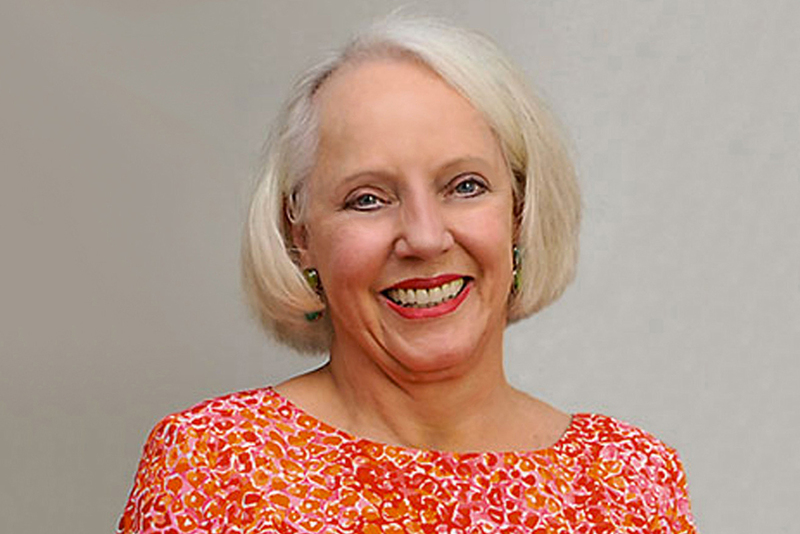 She is considered one of the most significant museum trustees, including the MoMA, the LACMA, the Museum of Latin American Art and the Museo Reina Sofia in Madrid. 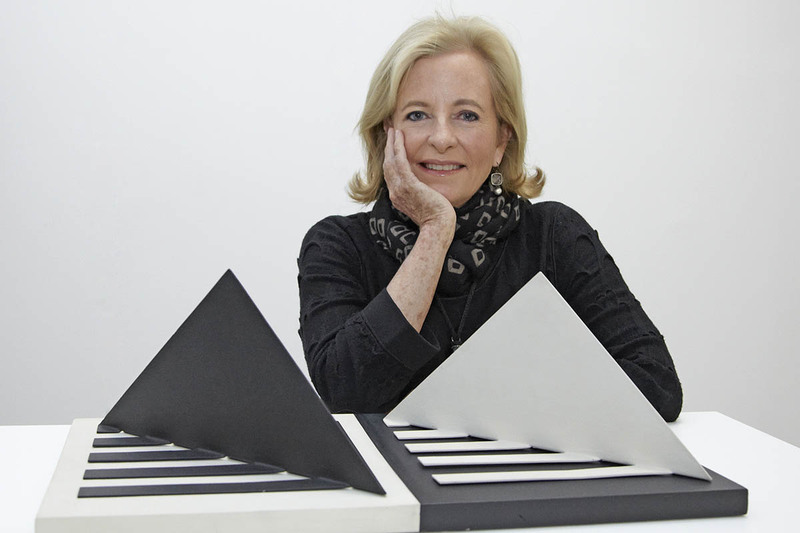 Much like Ella, Patricia Phelps de Cisneros promoted Latin American artists, with focus on Brazilian female artists such as Lygia Clark and Lygia Pape. For her contribution to arts, she has received many awards, including the Legion of Honor of France and Leone d’Oro di San Marco of Venice. 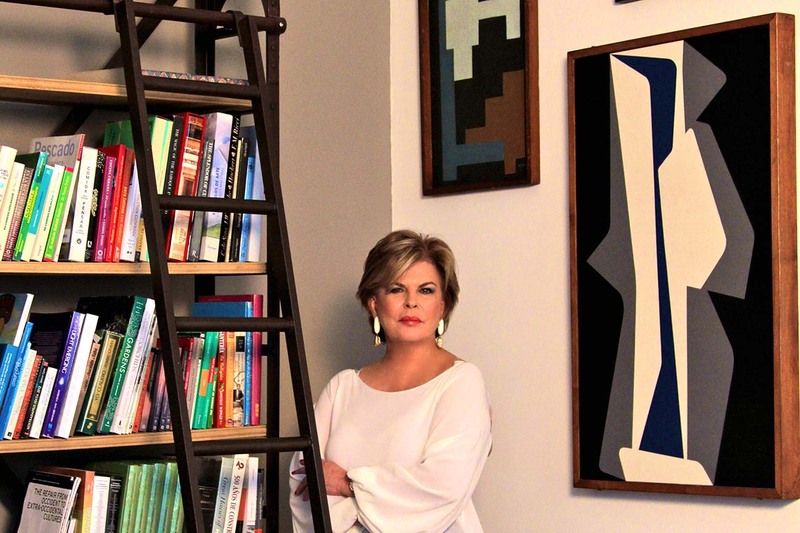 Her art program, The Colección Patricia Phelps de Cisneros, includes activities like exhibitions, loans, publications, support for scholarly research and artistic production for Latin American art scene. She is only 31 years old, but her name is already substantial in the world of Islamic art. Sheikha Al Mayassa Al Thani is the Director of the Qatar Museum Authority, which includes the management of the Museum of Islamic Art and the upcoming National Museum of Qatar and Orientalist Museum. Other than being a great role model for women in the Middle East, she is also responsible for some of the groundbreaking exhibitions held in Qatar by world’s renewed artists like Damien Hirst and Takashi Murakami. The art collection of Sheikha Al Mayassa Al Thani is home to works by Paul Cezanne, Jeff Koons, Andy Warhol, Mark Rothko and Francis Bacon, for example. She is also said to have purchased the most expensive painting in the world, Paul Gauguin’s When Will You Marry? in 2015 for $300 million. Ingvild Goetz Eva Regina is a German art collector and curator, owner of a publishing house and Art in Progress gallery in Munich. One of her main art collections includes works from Arte Povera, as well as the American paintings of the 1980s, young British artists and media art. Today, her private collection of contemporary art is one of the largest in Germany, containing 4,600 works in total – 1,286 photographs, 905 works on paper, 356 sculptures and paintings and 853 installations, films and videos. As of 2011, Ingvild Goetz is an honorary member of the Bavarian Academy of Fine Arts. She is often quoted for saying that “collecting art is like a disease, but also the best therapy.” Ingvild Goetz is also actively involved, both personally and financially, in many charitable projects. Coming from a long line of art collectors and patrons, it is no wonder that Maja Hoffmann has continued the tradition, and in a remarkable way too. 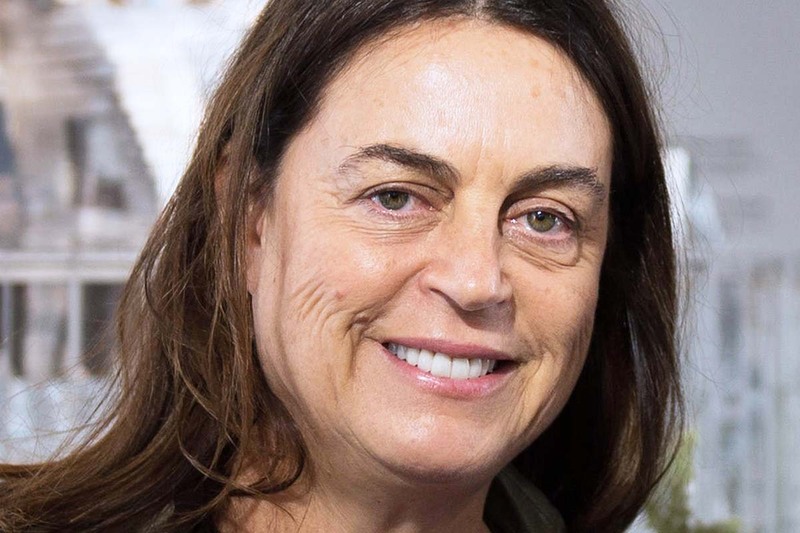 She is one of the most important Swiss collectors, the founder of the LUMA Foundation based in Arles, France, a board member at the Vincent Van Gogh Foundation in France and the New Museum in New York, and funding the film and documentary program of London’s Tate Gallery. In addition, she supports contemporary artists, filmmakers and environmental programs worldwide through philanthropy, being a filmmaker herself. She is also active at at the Palais de Tokyo in Paris, the Venice Biennale and the Serpentine Gallery in London. Maja Hoffmann is the owner of works by Julian Schnabel, Jean-Michel Basquiat and Francesco Clemente, to name a few. Lily Safra is a socialite and philanthropist from Brazil and one of the richest women in the world. The list of her donations to various charities and foundations worth millions of dollars is fairly long and it also includes the American Red Cross, Harvard University and the Elton John AIDS Foundation. Lily Safra is an owner of an astonishing jewelry collection, which was auctioned by Christie’s Geneva in 2012. In 2010, she bought a life-size sculpture of a man, L’Homme qui marche I by Alberto Giacometti, for $104,3 million, turning it into the most expensive sculpture ever. An auction of Lily Safra’s collections, including furniture, artwork, silverware, and decorative objects, took place in 2011 in at Sotheby’s in New York City. 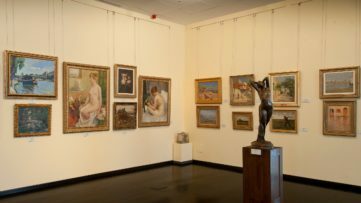 One of the most valuable collections of the 20th century art belongs to another Swiss art collector and also a businesswoman, the 77-year-old Esther Grether, the second largest shareholder in The Swatch Group. Kept in a converted printing factory which is also her home, the 600 piece collection features artworks by Pablo Picasso, Alberto Giacometti and Salvador Dalí, for example. She also owns Francis Bacon‘s Triptych, May–June 1973, one of Bacon’s three Black Triptychs. Esther Grether purchased the painting at auction in 1989 for $6.3 million, then a record for a Bacon painting. She is believed to own three other Bacon triptychs from the 1970s. As an incredibly important figure in the art scene of the United Arab Emirates, Sheikha Hoor Al-Qasimi continues to represent a stable connection between the Gulf region and contemporary art through series of provocative exhibitions, collaborations and events. Her experience of ten years as head of the Sharjah Art Foundation helped her create a new audience and to spark interest in culture. She is a very respected figure in her country and a great influence and inspiration to the women there, using her popularity to bring attention to the arts. Her Highness will also curate the UAE’s pavilion alt the 2015 Venice Biennale. 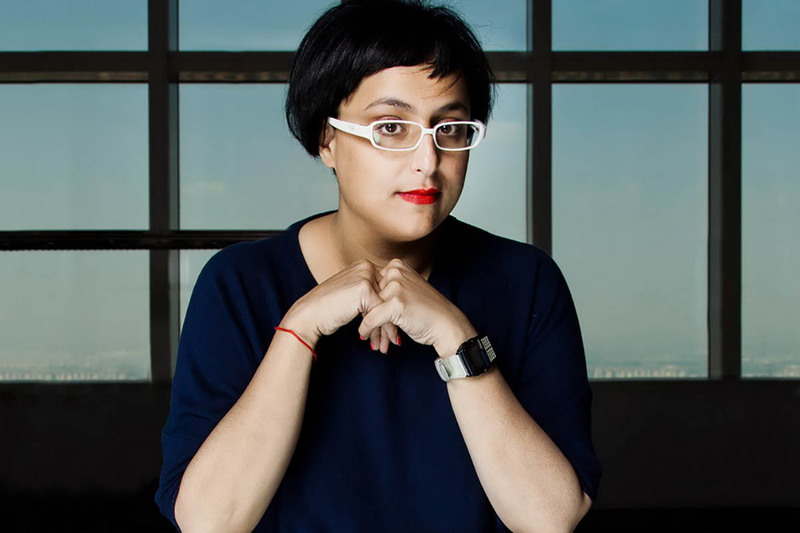 Sheikha Hoor Al-Qasimi is a board member of MoMA PS1 and was part of the curatorial selection committee at the 2012 Berlin Biennial. Art Market, Gallery Advice Andrey V.